This post is sponsored by Savings.com but all opinions are 100% my own. Summer is here and there is so much to celebrate. Are you planning a summer BBQ or two? Do you celebrate the last day of school or are you having the gang over for a graduation party or Father’s Day celebration? We had a Memorial Day BBQ and we are planning another one for Independence Day. We have some summer birthdays in our family too so our grill will be getting a workout. I love these long warm summer nights. We often have friends and neighbors drop by to simply sit and visit awhile. I think they come for the lemonade. One of my very favorite things to buy at Sam’s Club is their Simply Lemonade. It comes in a 2-pack which is great because almost everyone wants more than one glass. It is great to have on hand for your summer BBQ and for every day. Sam’s Club is the place to shop for your summer cookout essentials. They have great prices and everything you need. Here is a peek inside my shopping cart from my Sam’s Club trip today! We like to meet up with friends for the concerts in the park that our city offers each Wednesday night. 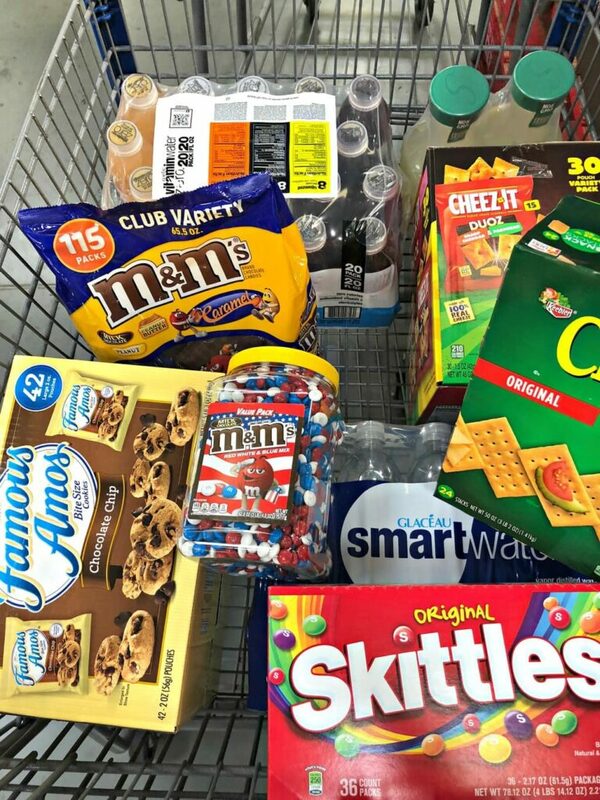 When you stock up on snacks at Sam’s Club, you will have enough to share!